This campaign ended on November 29, 2017, but you can still make a gift to University of Indianapolis by clicking here! Become an Advocate by spreading the word about #GivingTuesday at UIndy. When you generate one or more donations, we will send you a "UIndy Alumni" decal. Click the "Advocates" tab to get started. Help us wrap the world in service! Generate 5 or more gifts and you will receive a hand-written note from a student sharing their experience from a service trip this spring. When you make a gift of $28 or more, you will receive a custom UIndy scarf! After Black Friday and Cyber Monday, join UIndy as we celebrate #GivingTuesday—a global day for giving back! 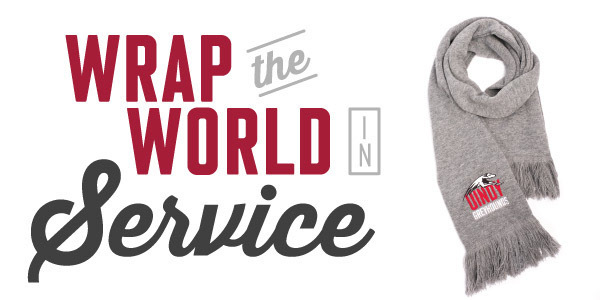 Help us wrap the world in service as we support UIndy service trips across the globe. Make a gift of $28 or more to UIndy and you will receive a UIndy scarf featured above*(limit one scarf per gift)! Plus, with the help of alumni and friends like you, an additional $10 will be given to the general Service Trip Fund for each of the first 300 gifts (up to $3,000) to support the communities our students and faculty serve during UIndy service trips. 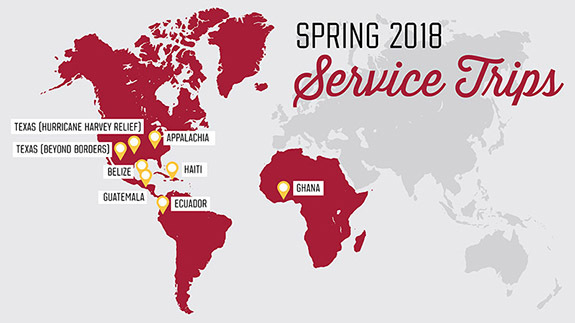 Your gift can help support these upcoming UIndy Service Trips. What began in 2011 as a trip to Ghana for service learning has developed into a legacy called Precious Words for Africa. Led by faculty member Dr. Jodie Ferise, Precious Words for Africa focuses on the benefits of social enterprise by helping to develop educational projects such as a new kindergarten, junior high school, a computer lab and several libraries (including one with more than 8,000 books and a full-time librarian). The students focus on helping people by giving them the tools to create a better life. 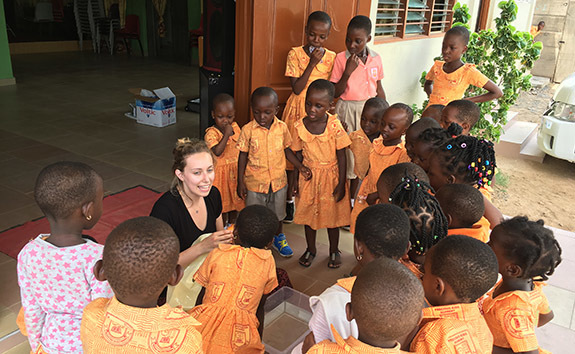 For students who have served in Africa, helping the people of Ghana has broadened their perspective and inspired changes in their personal and social lives, and even their career goals. This year will be UIndy's 7th trip to Ghana. The number of migrants dying as they cross the southern US border into Texas has recently reached mass disaster proportions, however, local resources for migrant identification and repatriation are sparse. 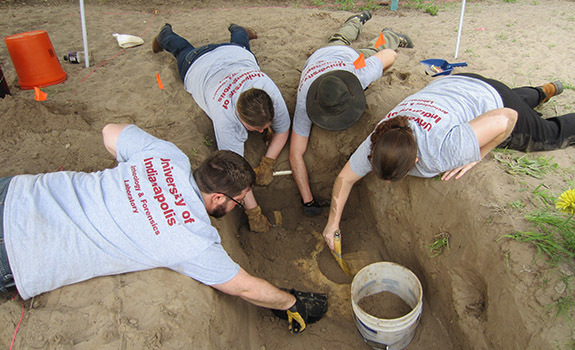 Starting in 2013, a group of volunteer forensic scientists (including UIndy biology students and Associate Professor of Biology and Anthropology Dr. Krista Latham '03) traveled to Texas to begin exhuming unidentified migrants, so these individuals can begin their journey towards identification and repatriation home to their families. 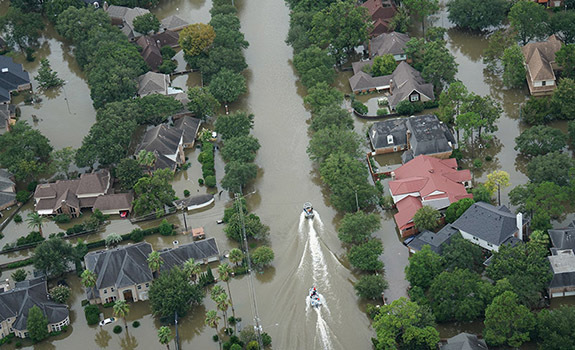 In January, UIndy biology students who make up the Beyond Borders forensic team will make their 7th trip to South Texas to volunteer their time and expertise to this ongoing crisis. Calling their efforts in the Texas Borderlands “Humanitarian Science” they will employ their scientific skills to benefit human welfare and bring closure to grieving families. 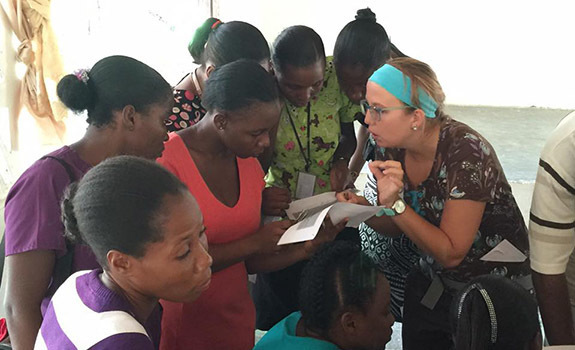 UIndy students will use their skills to educate the people of the Haiti about healthcare. This spring students will volunteer in local and mobile clinics and impart their knowledge to community members. They will teach basic first aid to students and CPR to teachers and high school students. Learning how to treat in an area without running water or even electricity 24/7 can be a challenge, but it is critical and a much-needed skill. Sharing knowledge is just another example of students living out UIndy's motto, Education for Service. Students experience how good it feels to give back and help those less fortunate. During the Appalachia Service Project, students come together to help those in desperate need of home repair. Whether it is painting, putting on a new roof or placing new beams for support in a house, students gain skills, confidence, and grow in faith. In addition, while discovering details about the local economy and culture of the central Appalachia area, students learn compassion and empathy in an area where poverty rates are double the national average. 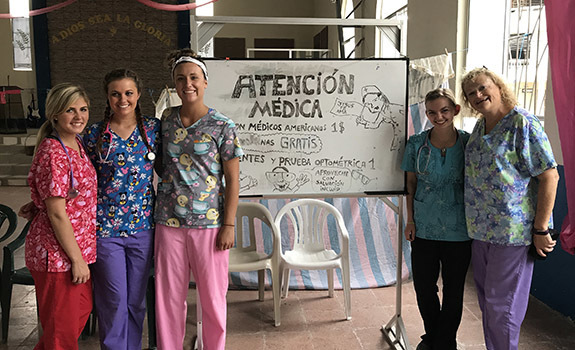 UIndy nursing students teach critical, life-saving skills and gain hands-on experience during their service trip to Ecuador. Students educate children and teachers in schools and churches about CPR, first aid, hygiene, dental care, and choking. Not only do the students educate, but they also treat. The group will travel out to rural communities via mobile clinics and assist those in need through a variety of stations including a pharmacy, triage, eye and ear-washing station. Furthermore, students are able to help with community projects such as painting homes and cleaning yards. 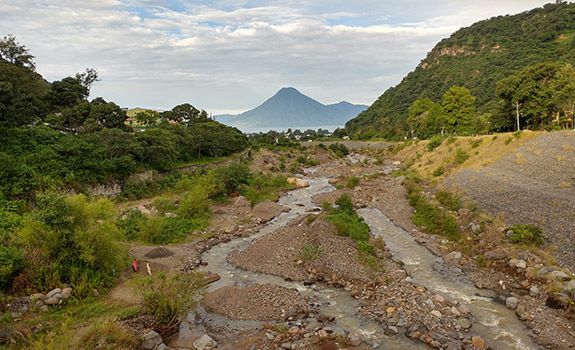 Students traveling to Guatemala will work to improve the quality of life and meet the basic needs of children and rural community members. With a focus on health, nutrition, and education, UIndy students will help by working on a variety of projects such as building kitchens in public schools so a healthy lunch can be provided; building classrooms to support the public education system; creating hand-washing sinks to ensure proper hygiene practice, and creating safe places to exercise by developing playgrounds or soccer fields. By working together with the community, they find meaningful long-lasting solutions to local issues. 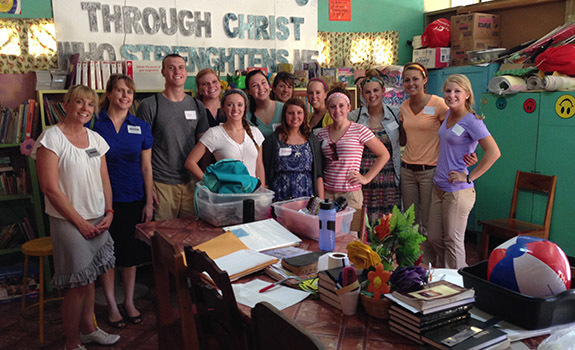 UIndy students will share health and wellness skills this spring while visiting Belize. With diabetes and other chronic disease on the rise in Belize, personal and population wellness education is needed in this community. In addition to showing the community the impact physical activity can have on their bodies, students also will discuss healthy eating and how to live a healthier life. During past trips to Belize, students helped provide health and wellness education to six schools. They also hosted a health and wellness fair and taught proper hand-washing and hygiene skills to both students and area food vendors. In an area of Belize recovering from an outbreak of Hepatitis A, this training was invaluable. After Hurricane Harvey struck, the UIndy community asked "How can we respond?" After participating in personal care and food drives and preparing hygiene kits, students wanted to do more. This January UIndy will send 35 students, faculty and staff to Houston to help with cleaning up the aftermath and destruction from the Hurricane. From gutting homes and cleaning up neighborhoods to serving in relief centers that house the displaced, UIndy students are excited to help however they can. Please join us in this global movement of giving back on November 28 by making a gift to UIndy today! Be sure to follow us on Facebook and Twitter to learn more about the ways we wrap the world in service! *The Fair Market Value of the UIndy scarf is $12 and will be deducted from the tax-deductible portion of your gift. If you choose not to receive the scarf, your full gift amount will be tax-deductible.